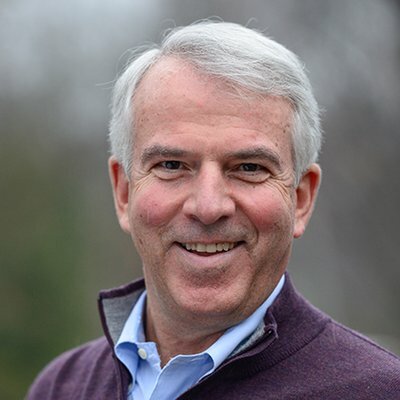 Bob Hugin is a New Jersey success story who came from humble beginnings to live the American Dream. Now he’s running for United States Senate to ensure that opportunity is available for future generations growing up in every single community in our great state. Born and raised in New Jersey, Bob grew up in a diverse, hardworking neighborhood in Union City, Hudson County, where his parents instilled in him an obligation to serve others. He was the first person in his family to attend college, earning a full scholarship to Princeton University. After graduation, Bob joined the United States Marine Corps where he served as an active duty infantry officer from 1976 to 1983. Bob participated in multiple deployments and was an instructor at the Landing Force Training Command, Atlantic. Bob continued to serve as a Reserve Officer from 1983 to 1990, where his assignments included commanding officer roles in Virginia and Battalion staff officer assignments in New York. Upon leaving active duty in 1983, Bob earned his MBA from the Darden School of Graduate Business Administration at the University of Virginia and in 1985, he joined J.P. Morgan, ultimately leading several businesses and rising to be a Managing Director. Bob spent the last 19 years as a leader in healthcare and vocal advocate for modernizing the American healthcare system, serving as Chairman and CEO of the Celgene Corporation and as a Trustee of the Atlantic Health System for the last decade. When Bob joined Celgene in 1999, the company had approximately 200 employees and less than six weeks of cash. Under Bob’s leadership and through the work of its employees, that company was transformed into one of New Jersey’s largest private sector employers – an innovative biotech company that is now known around the world for leading the fight against cancer and chronic disease. Forbes honored Celgene as #5 on a list of “America’s Best Midsize Employers” and #14 on a list of the “World’s Best Employers” in 2017.